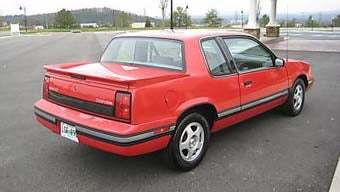 Nice Price Or Crack Pipe: The $8,500 1991 Olds Cutlass Calais Quad 442? 68% of our readers felt that 15 grand was a Nice Price for the super-original 1979 Shag Van, and it's hard to disagree with that judgment. Today we've got something a bit more recent. Nice Price Or Crack Pipe: Brain-Meltingly Awesome Custom Van For $15,000? Here's a car you don't see every day: a 1991 Olds Cutlass Calais Quad 442. The last of the Olds 442s! Unlike the Million Dollar '70 Olds 442, this one is priced- at the time of this writing- in the four-figure range, and it's a rare one- only 204 were built. The seller claims the 190-horse Quad Four was good for 14-second quarter-mile runs in this car, which is pretty good for a front-drive GM car of its era, and the styling is very much of its time. You could go faster for less money, but it's an interesting bit of Detroit musclecar history. Is $8,500 a Nice Price… or is it time to head over to Booth Numbah Two for the crack pipe? 8,500 bucks for a 1991 Olds Quad 442?